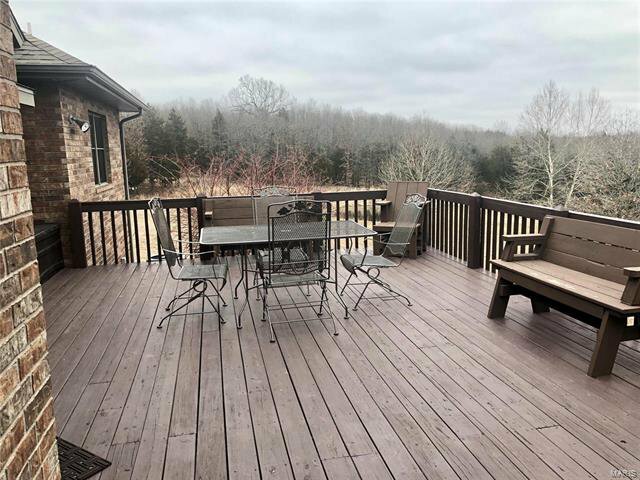 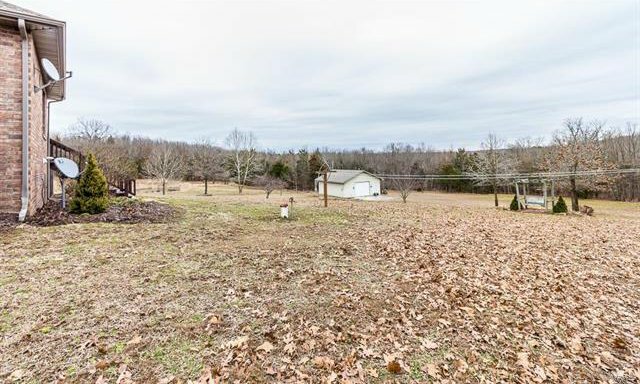 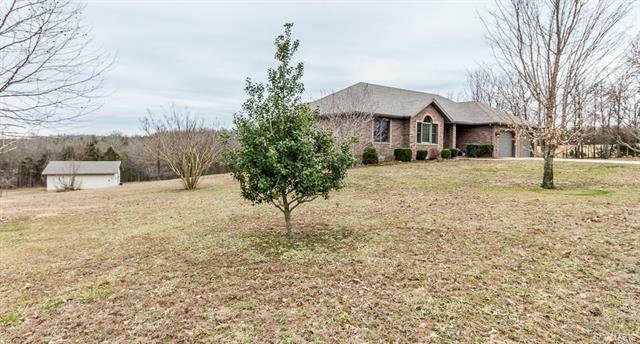 CUSTOM BUILT ONE OWNER HOME ON 5.12 ACRES. 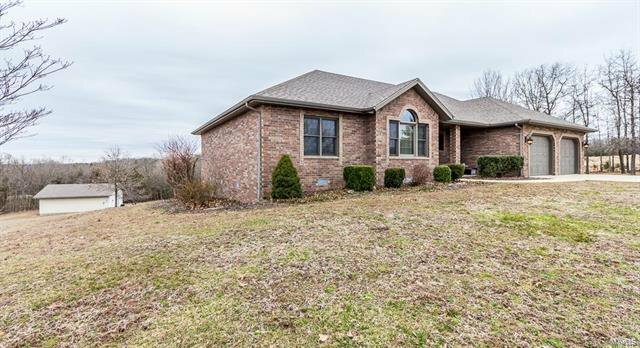 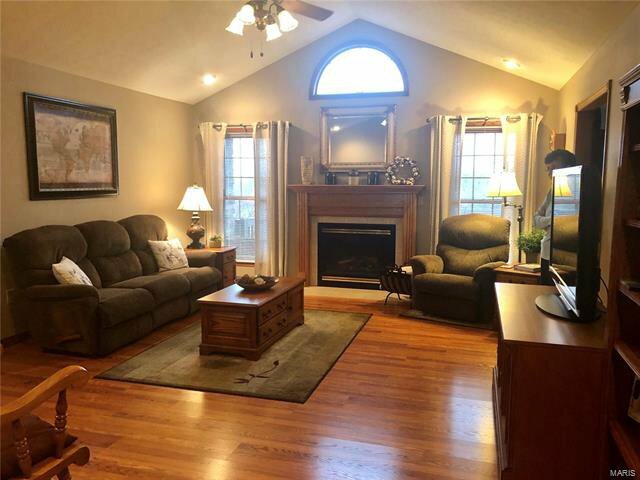 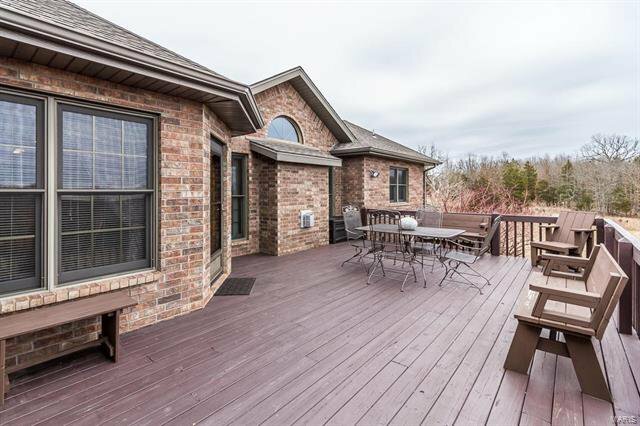 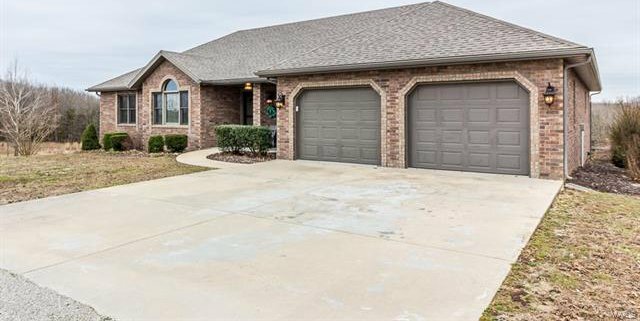 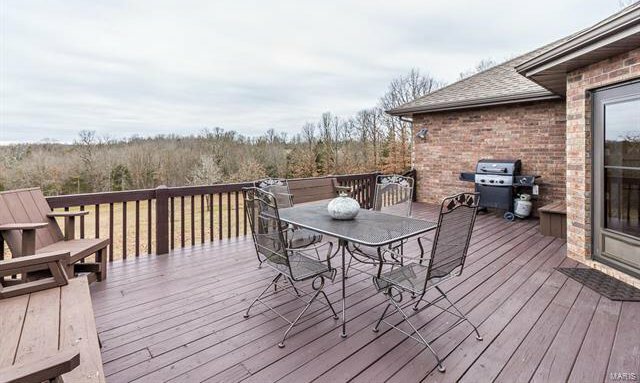 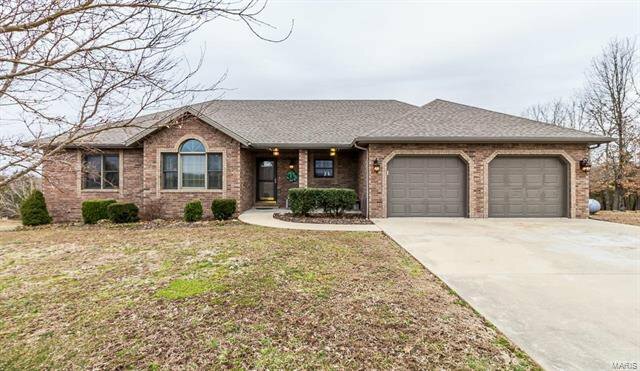 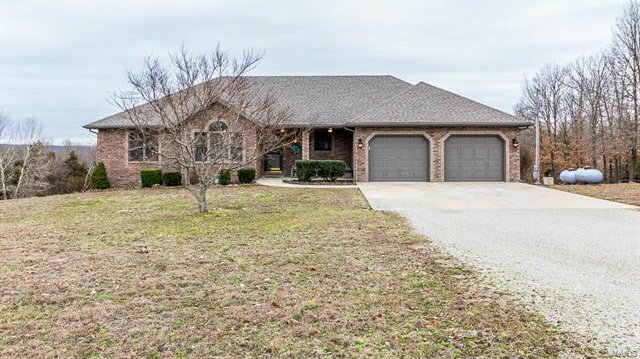 THIS ALL BRICK 3 BEDROOM 2.5 BATH HOME OFFERS A GREAT OPEN LIVING AREA WITH CATHEDRAL CEILINGS AND GAS FIREPLACE. 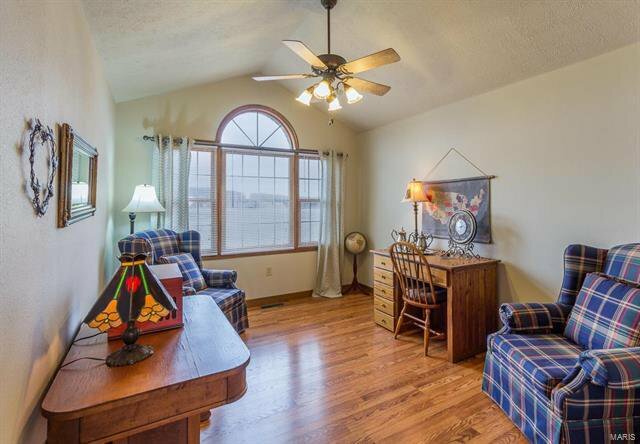 A FORMAL LIVING ROOM OR DEN-HOME OFFICE. 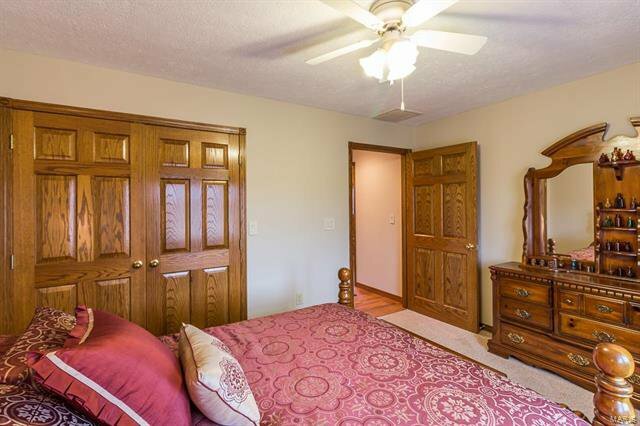 SPLIT BEDROOM PLAN. 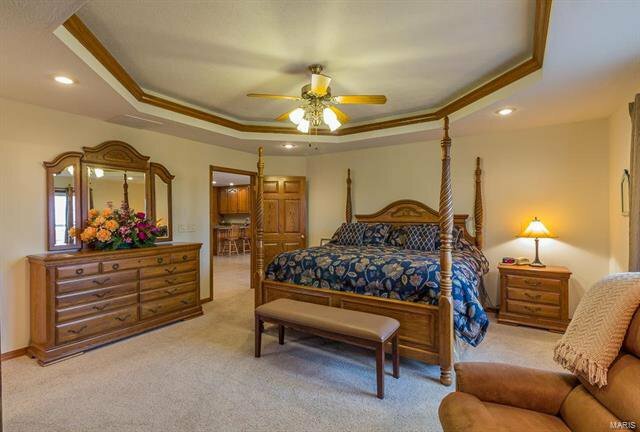 MASTER WITH COFFERED CEILINGS & CROWN MOLDINGS W/BACK LIGHTING. 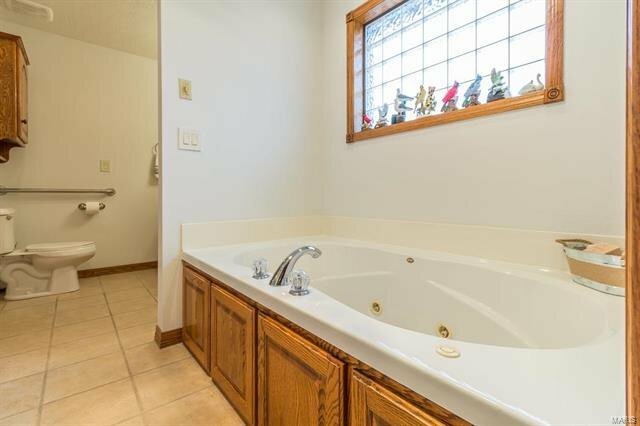 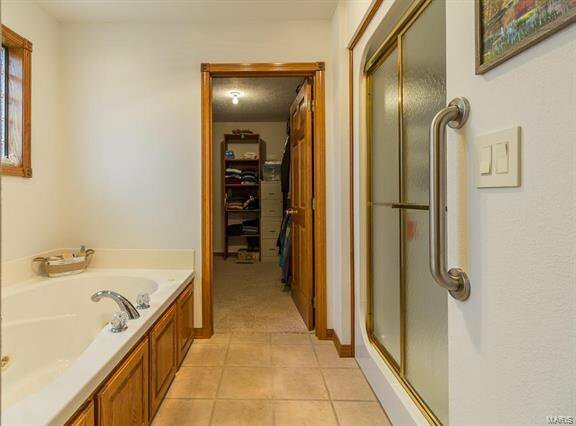 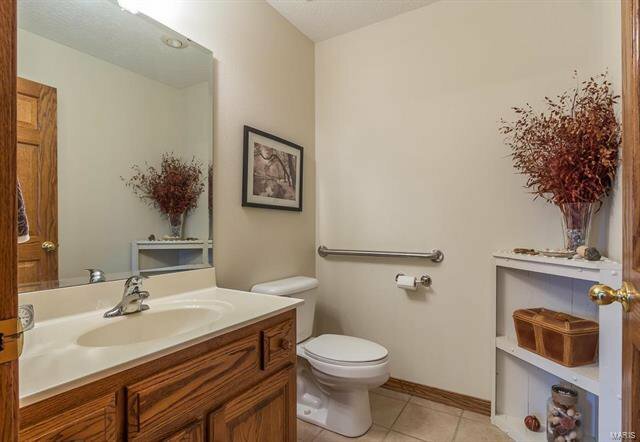 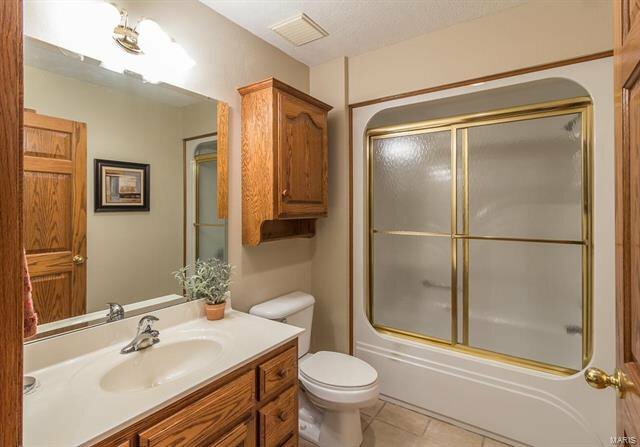 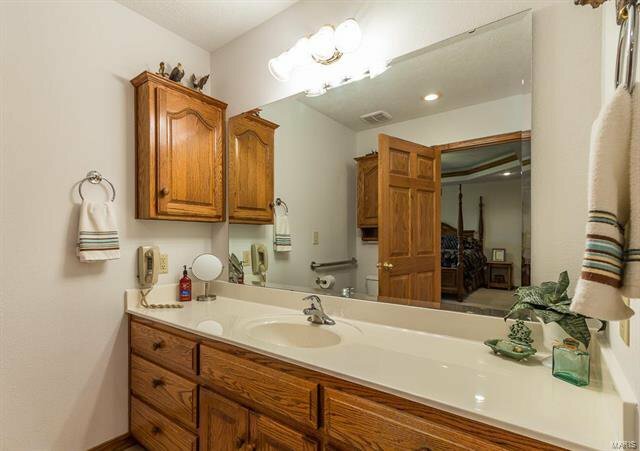 A LARGE MASTER BATH WITH DOUBLE VANITY, WALK IN CLOSET, AND JETTED TUB. 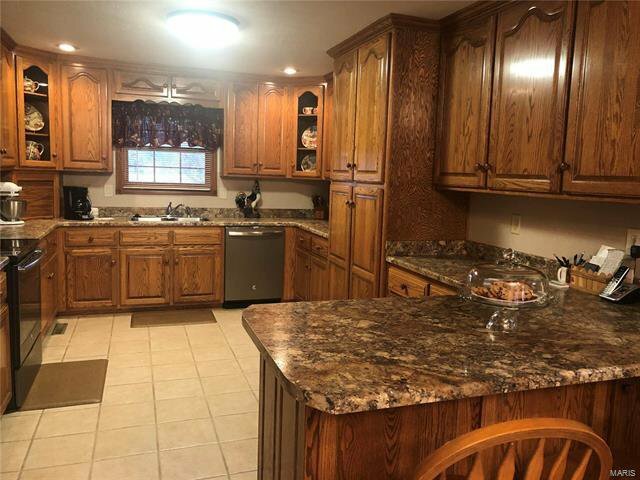 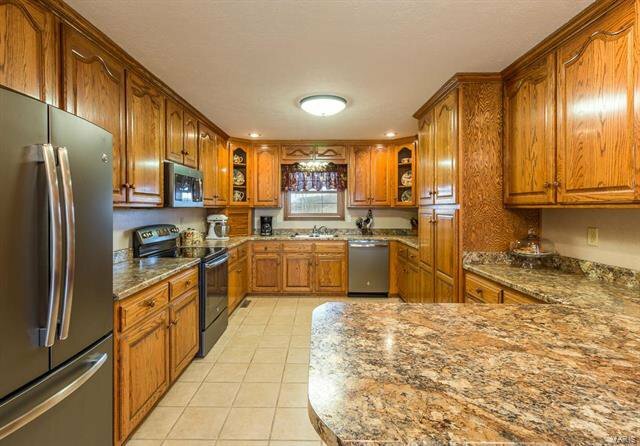 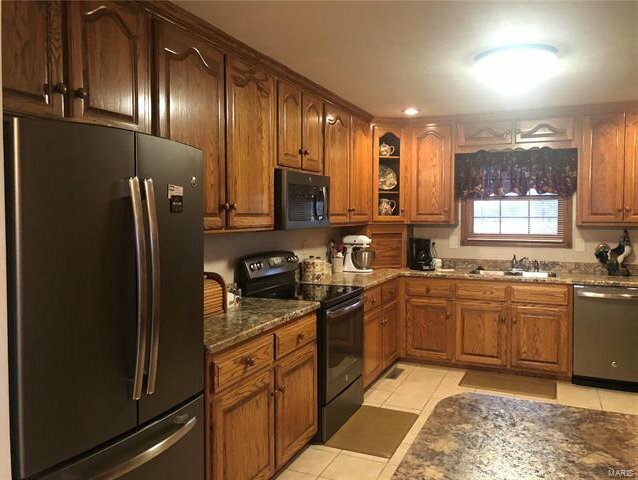 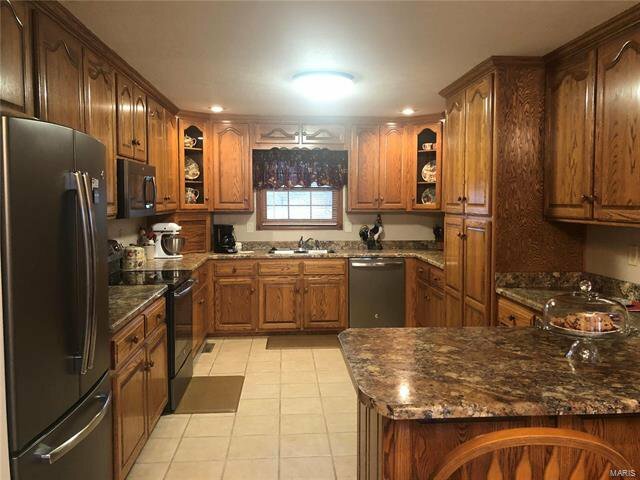 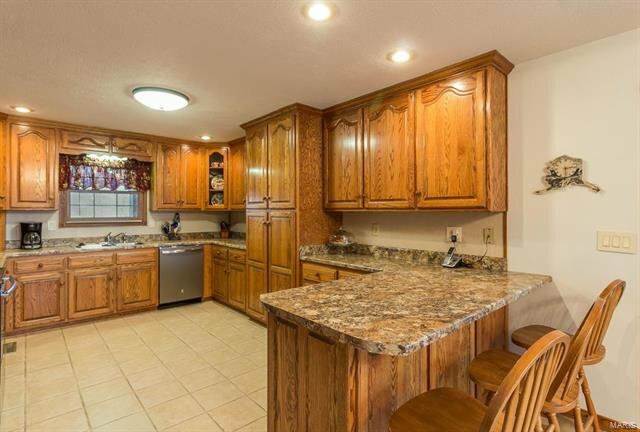 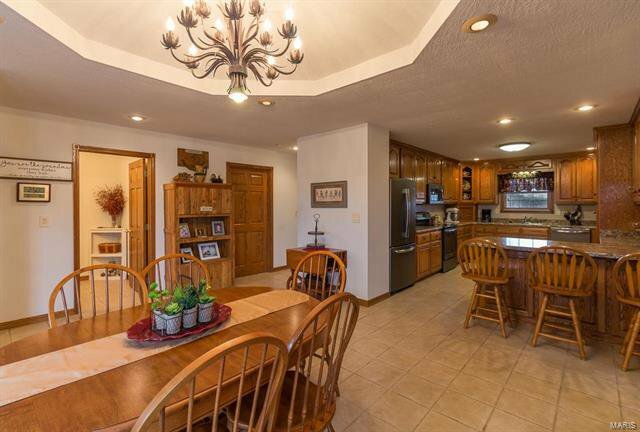 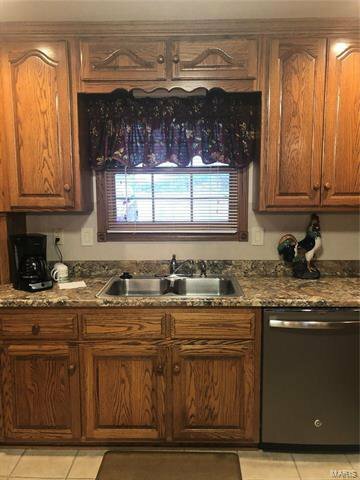 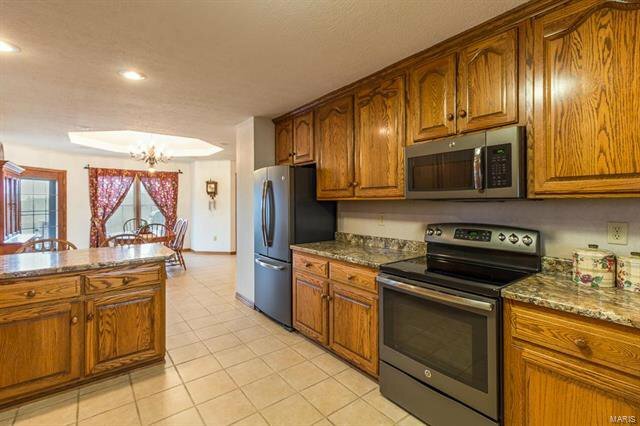 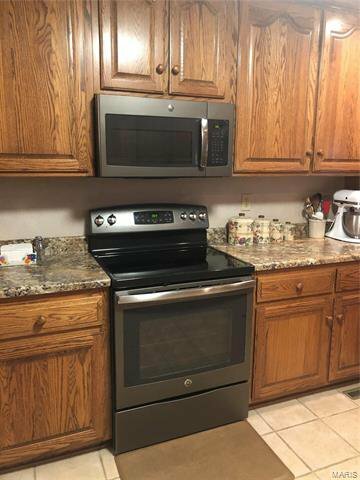 VERY LARGE KITCHEN WITH NEWER APPLIANCES, SNACK BAR, VERY LARGE TABLE AREA. 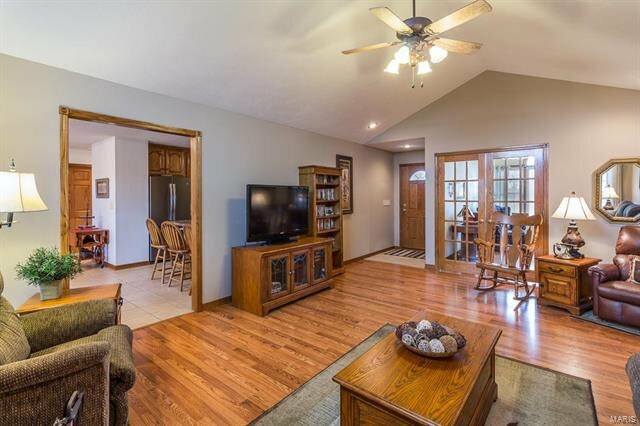 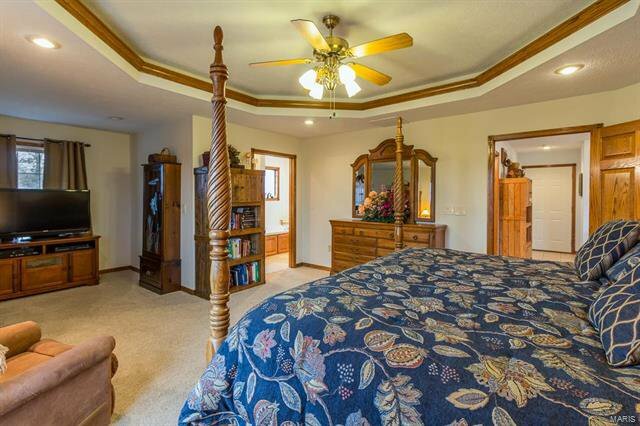 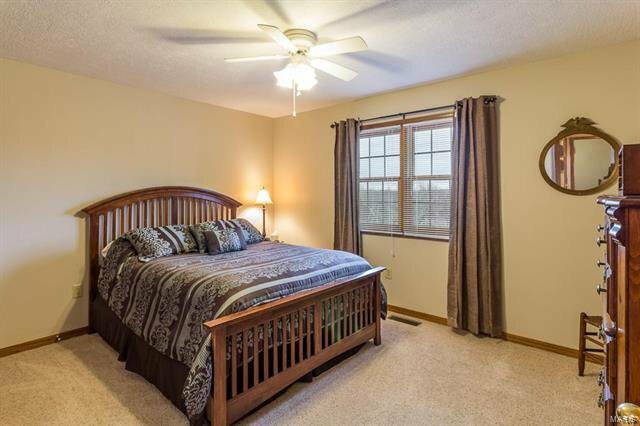 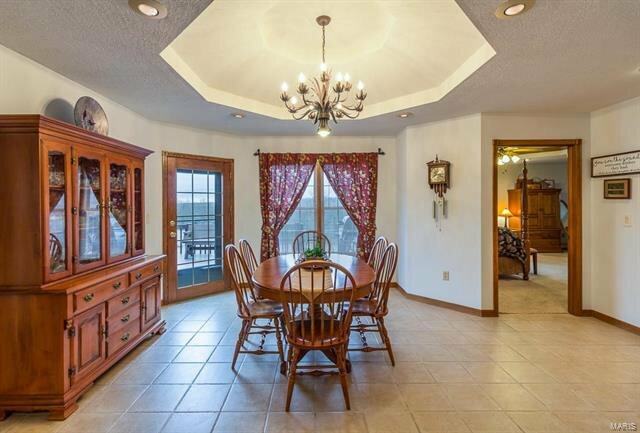 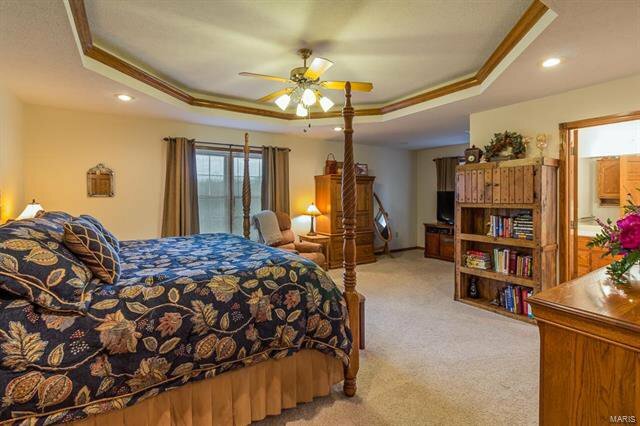 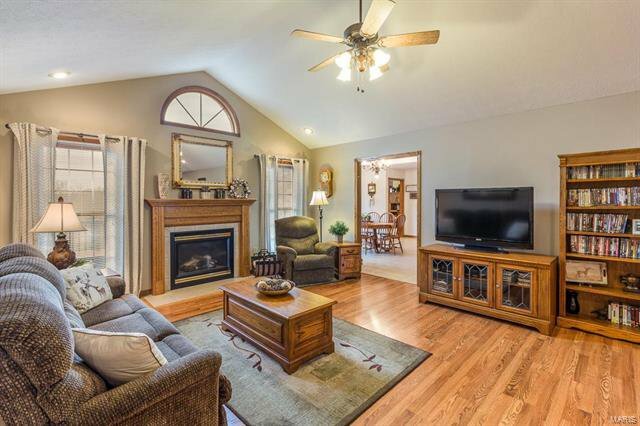 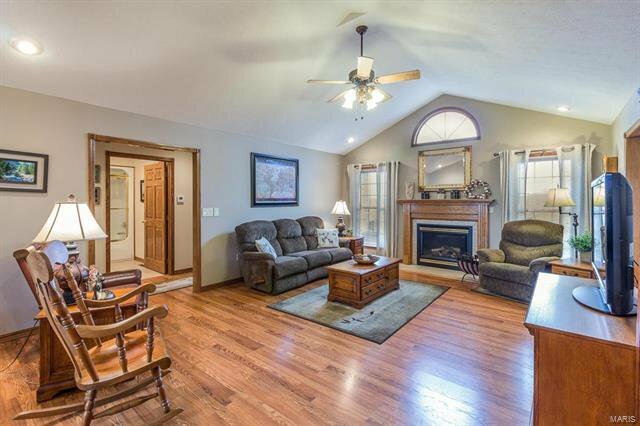 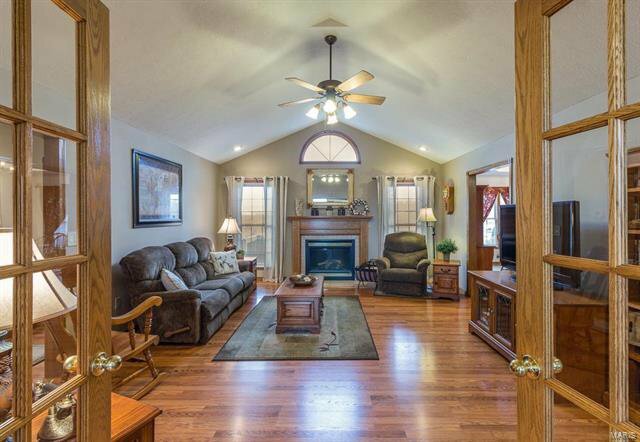 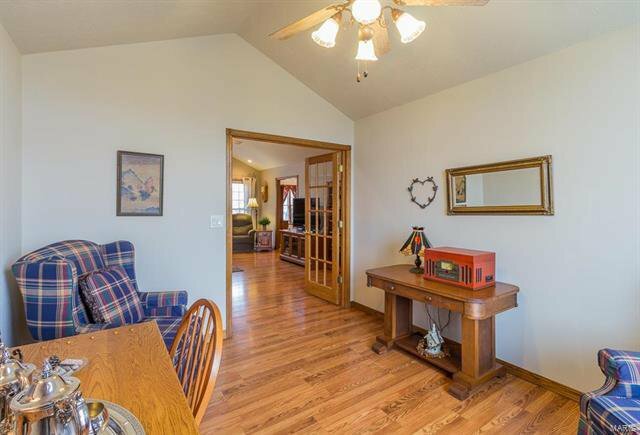 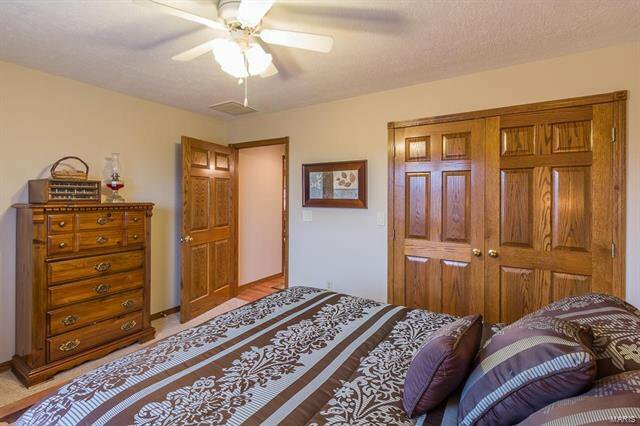 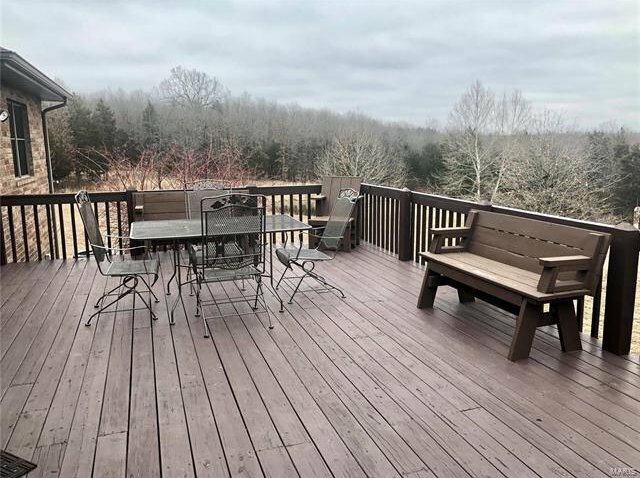 THIS HOME HAS MOSTLY OAK HARDWOOD FLOORS, 6 PANEL OAK DOORS & TRIM THROUGHOUT. 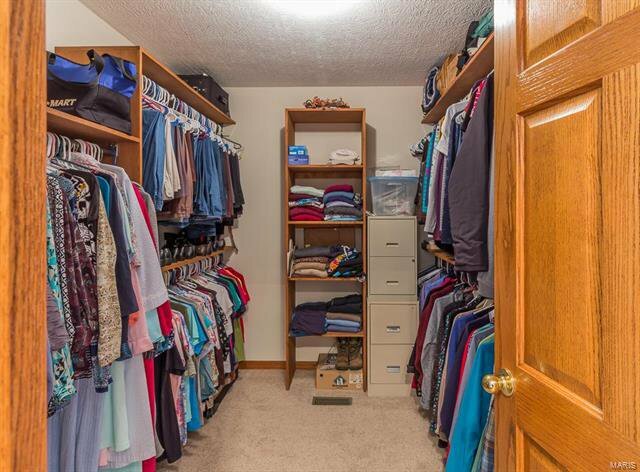 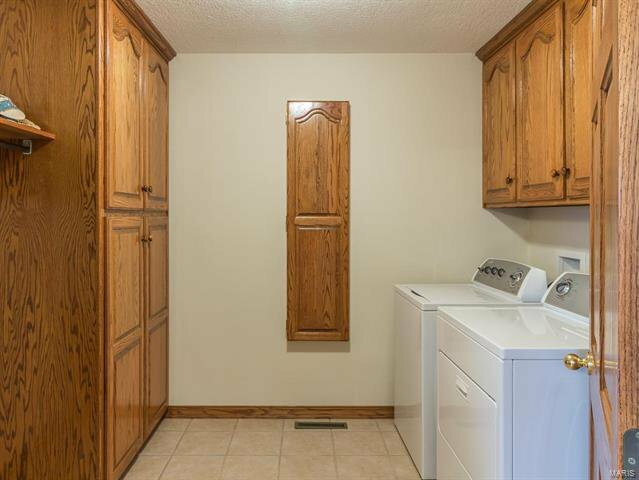 LARGE LAUNDRY ROOM WITH A BUILT IN IRONING BOARD, HANDY 1/2 BATH OFF THE KITCHEN AND GARAGE AREA. 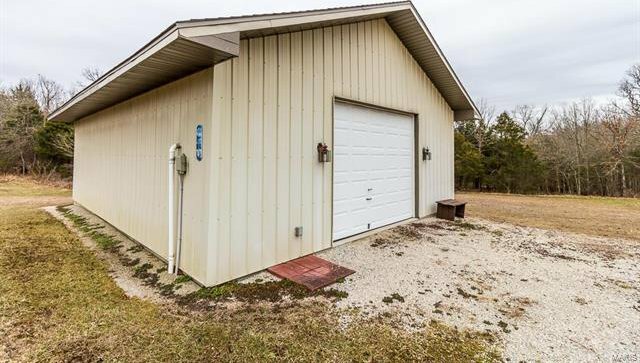 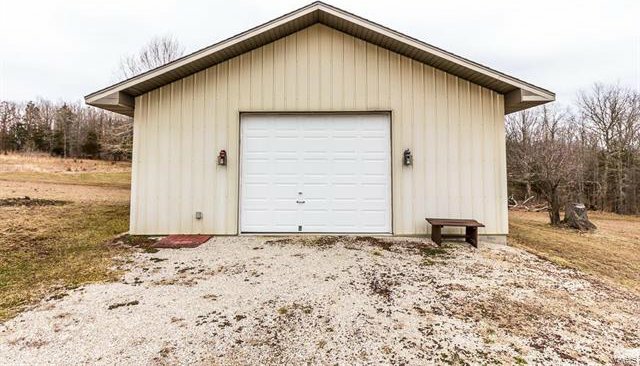 THE ATTACHED DOUBLE 2 CAR GARAGE HAS ELECTRIC HEAT AS WELL AS THE 25 X 35 DETACHED WORK SHOP. 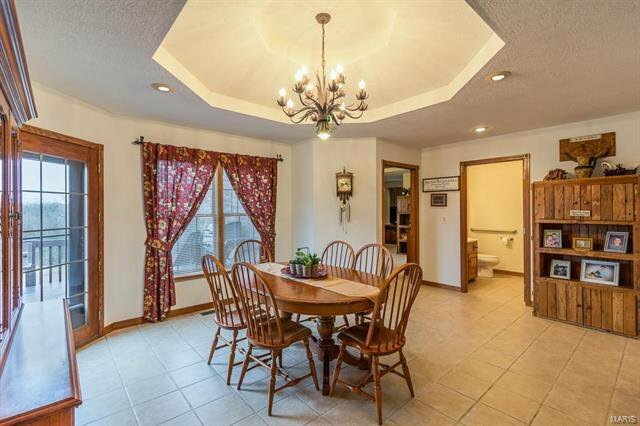 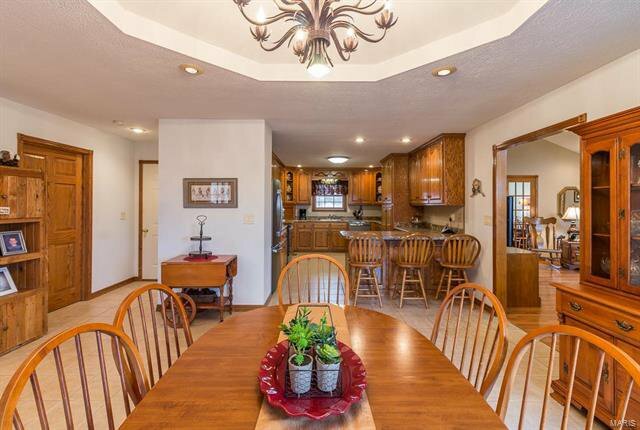 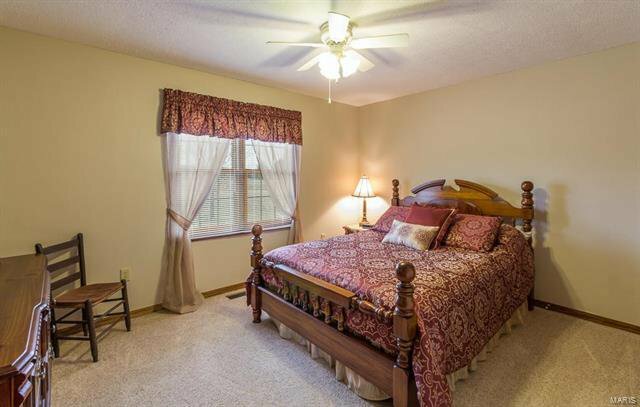 THIS WELL MAINTAINED HOME WAS BUILT BY TIM & TOMMY JENNINGS. 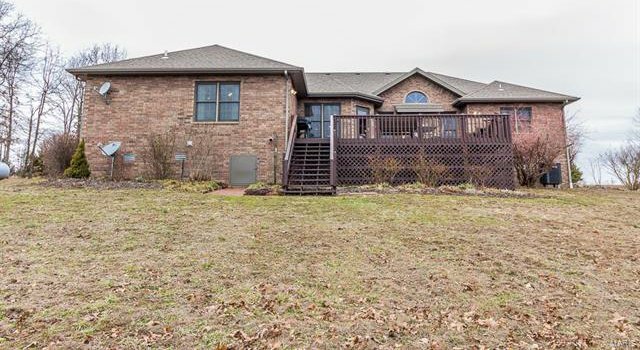 Listing courtesy of Realty Executives of Lebanon.